Everyone plays sports for the Challenge Week! Take part in a variety of sports contests, including the first Arc 1950 Family Trail! New this summer : the Family Trail! Arc 1950 Le Village is a great resort for families, but it also offers a sporty holiday. We are always looking to create magical family experiences, so this summer will be organising our very first Family Trail. 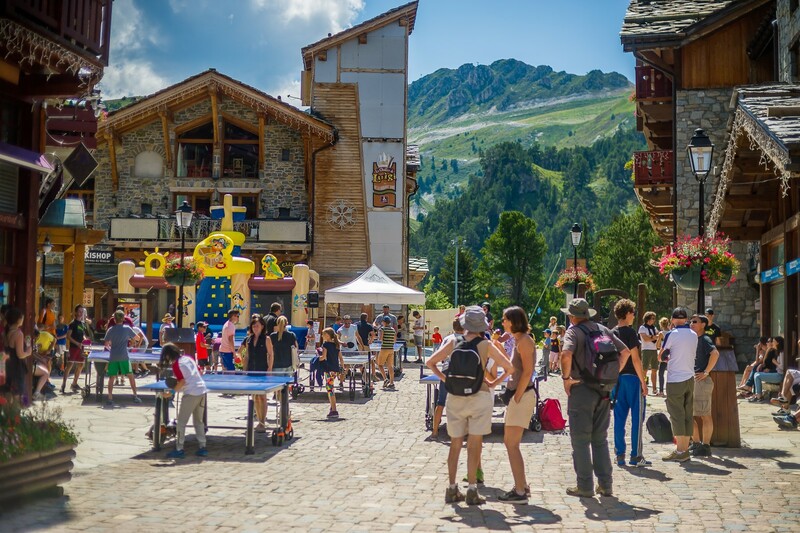 It's a unique race with parents and children participating hand-in-hand in and around the Village enjoying the breathtaking panorama and creating unforgettable memories. To keep things convivial, the race will not be timed and there will be a medal for each participant as well as refreshments offered by the retailers at the finish. Detailed programme will come soon!